The Hippocrates Health Institute of West Palm Beach, Florida, a leader in the field of natural and complementary wellness education, recommends Pure Water™ Brand distillers and will soon make the distillers available through the institute’s website. 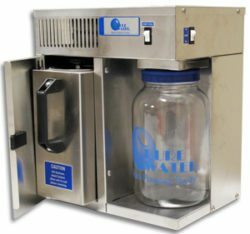 Brian Clement, PhD, NMD, LN, co-director of the institute and best-selling author, has personally used a Pure Water Brand distiller in his home for decades. Pure Water™ Distillers will be available through the Hippocrates Institute store online and at their campus in West Palm Beach. 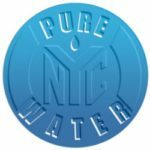 Clements said he recommends the Pure Water™ brand not just for its effectiveness is distilling high-purity drinking water, but for the quality of products, which are made by a family-owned company in Nebraska. “I have only replaced one five-dollar piece (on my distiller), maybe twenty-five years ago,” Clement said. “This has been probably the best investment I’ve ever made in my life for any product at all. Declare Water Independence NOW! | Five ADVANTAGES of Steam Distillation.